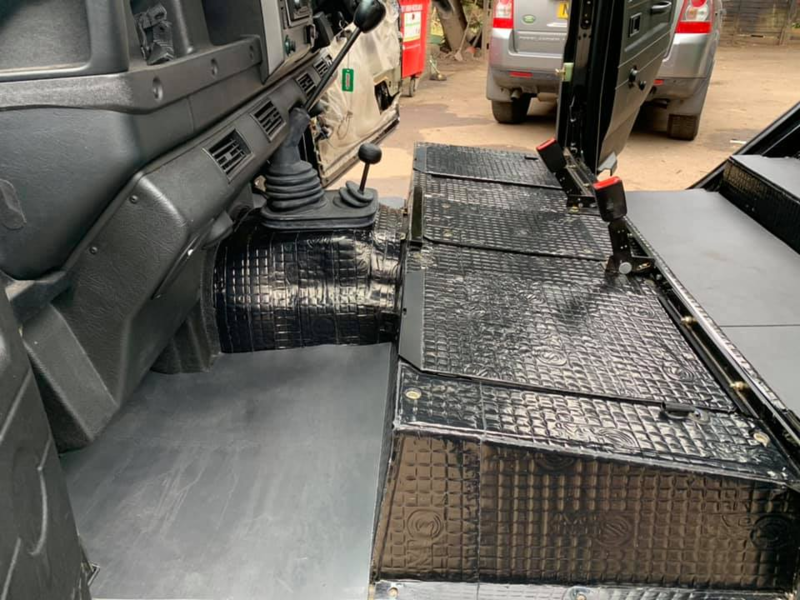 Our sound proofing is carried out in a different way to most others on the market. 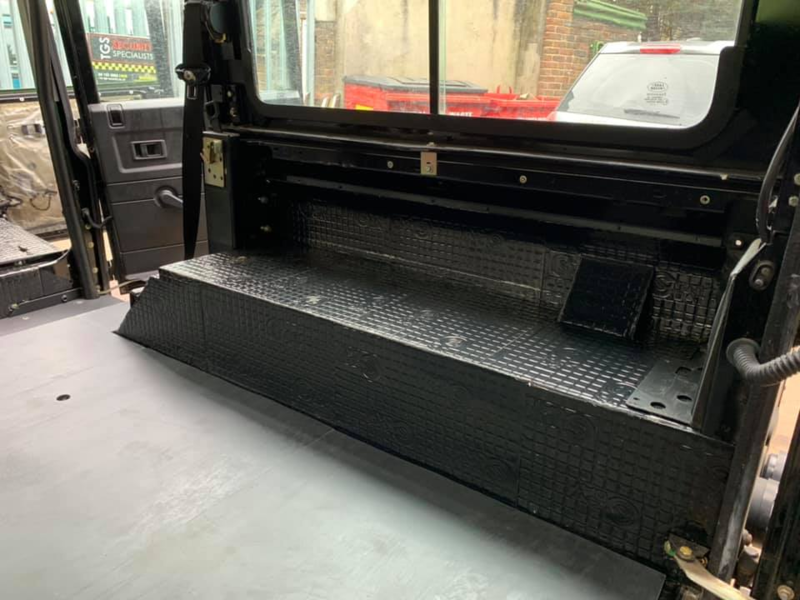 We use a system manufactured by a company within Europe called Silent Coat. 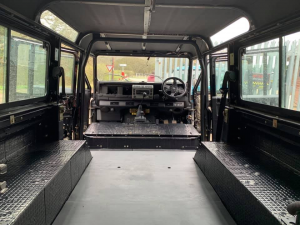 Once installed you will be amazed how quiet your Defender is. We apply the first layer of silent Coat this, coat is applied to all internals of your Defender, Including Floors, roof, side panels and on the inside of doors. 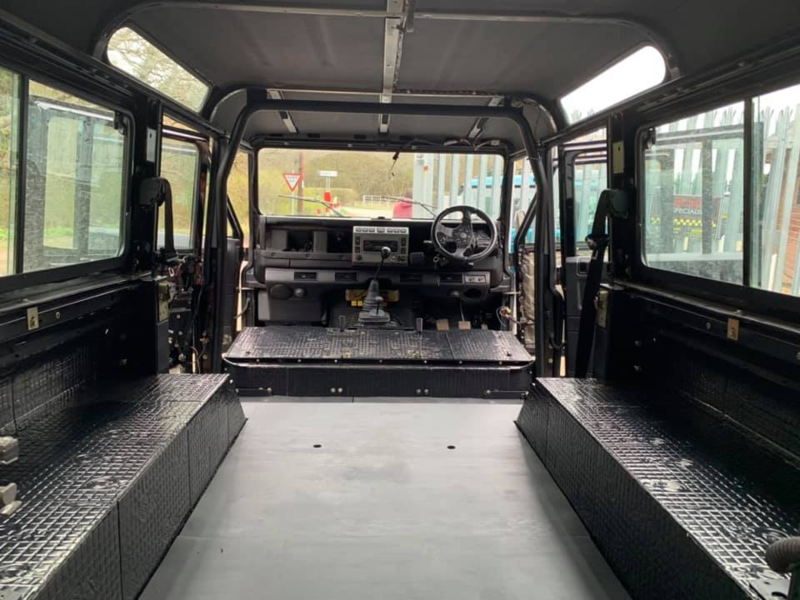 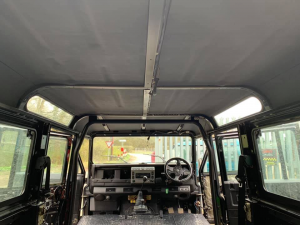 This layer is finished in black and is double the thickness of other well-known brands, thicker sound deadening does mean a quieter Defender. 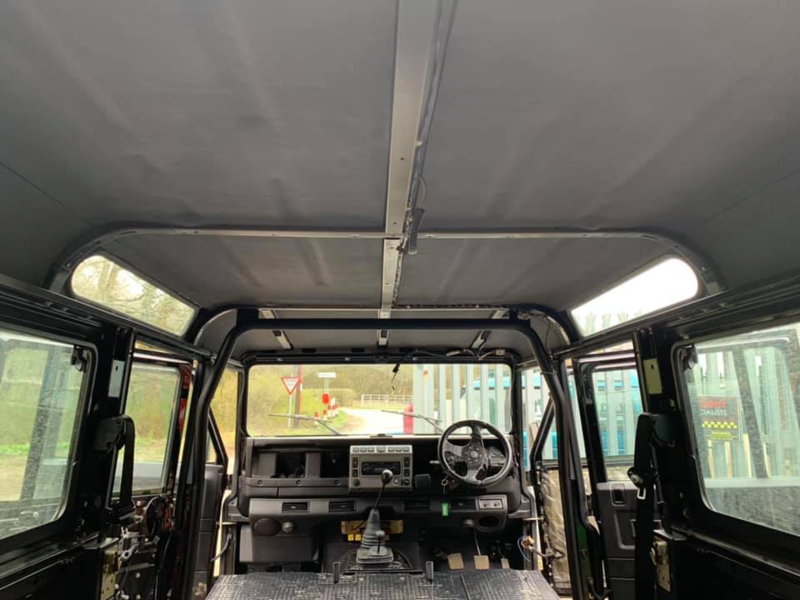 We apply a foam layer to all roof areas and side panels, this furthers the sound deadening process and makes the vehicle even quieter. We apply an Acoustic matting to all floor areas, after all the floor is where you get most of your sound coming through, after this step your vehicle is now silent. After this is all complete we put the vehicle all back together, and put all the carpets back into place. 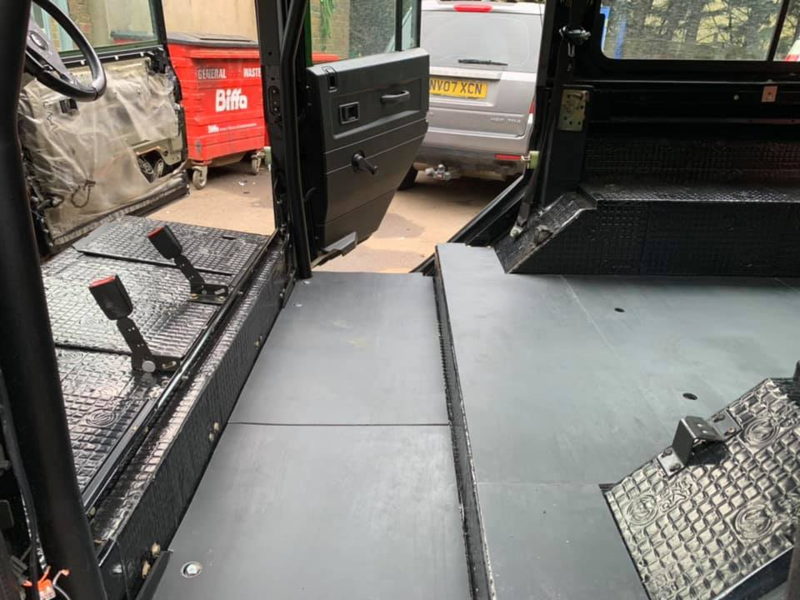 If you do not have carpets, we would recommend having them fitted or have an additional matting to protect the sound deadening layer.